In spite of the shock due to tragic accident in March of this year, Ethiopian Airlines is not stopping its expansion of global destinations. It is now flying Istanbul three times a week and also planning three more destinations in China. 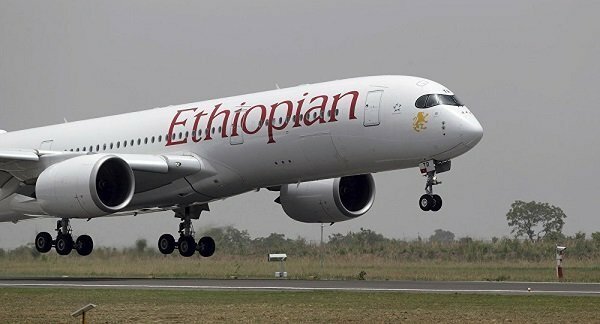 Africa’s airlines that saw fast expansion over the past few years, Ethiopian Airlines, has announced its direct flight to Istanbul since Tuesday, April 2, 2019, this year. This is the airlines 120 global destinations. Istanbul is going to be three times a week flight. The airline is also planning three more destinations in China, according to a report by FanaBC. The new destinations are planned to cut travel transit time and expenses for travelers. The new Chinese destinations are Chongqing in South West China, Shenzhen in Southeastern China, and Zhengzhou, in Henan province, east-central China. Ethiopian Airlines has currently daily flights to two Chinese cities, Guangzhou and Beijing. As well, three times a week flights to Chengdu and Cargo flights to Hong Kong and Shanghai. Ethiopian Airlines was the first African Airline to start flying China in 1973. This year the airline has inaugurated its expanded terminal project and a five-star hotel near Bole International Airport in the capital Addis Ababa. The vote of confidence, after the tragic ET302 Boeing 737 Max 8 on March 10 shortly after takeoff from Bole International Airport which killed 157 people from more than 30 countries, seem to be global. On March 29,2019, the airlines announced that “it has been chosen as the Official Carrier for the 2019 World Press Freedom Day Global Conference to be held in Addis Ababa from May 1-3, 2019.” The airlines expect to provide to as many as 1500 participants from around the world. 2 Responses to "Ethiopian Airlines flying Istanbul, planning three more China destinations"
Le it be repeated a thousand times that Ethiopian Airlines was established on a solid ground and progressively and rationally developed to what it is today i.e. . ONE OF THE FINEST AIRLINE IN THE WORLD. It is a unique institution in Ethiopia. Period. IT IS MY OPINION. I have nothing to do with EAL — only my admiration. .